Surly believes that the individual is defined by her or his actions, not the sum of their things. Surly offers a full line of steel bikes for people who understand that who you are has nothing to do with what you ride. It’s defined by what you do and how you do it. 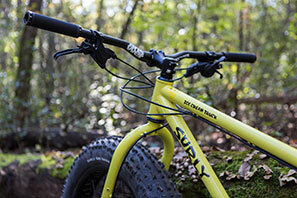 Surly bikes are built to be an extension of you, not the other way around. At Colonel's we carry the full Surly lineup, drop by and we will introduce you to a whole new you.